Suresh Raina is one of the most loved and talented Indian cricketers of the present time. Born on 1986, this 31-year-old cricketer has been active for more than a decade. He is a left-handed middle-order batsman who plays for the Indian National Cricket Team. From domestic cricket to IPL, Suresh has delivered on almost every occasion. This is what makes him one of the most celebrated cricketers in India. Let’s have a look at a detailed Suresh Raina profile right here. After getting to know so many new things about Suresh Raina, you must be excited to watch some of his past performances. If you wish to watch cricket highlights and news anytime you want, then simply download Snaptube on your Android device. A freely available app, it will make it easier for you to catch the latest cricket news as per your convenience. 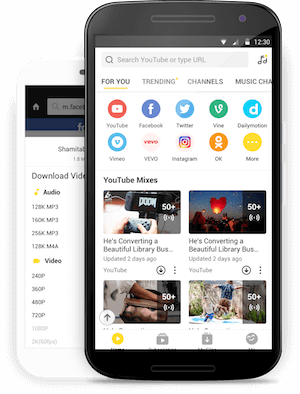 Find the related videos from numerous platforms and stream them on your phone. A must-have Android app, Snaptube will certainly make it easier for you to catch the latest cricket buzz on the go. To start our Suresh Raina biography, it is important to have a look at his early life and how his career commenced. Born on 27th November 1986 in Muradnagar, Uttar Pradesh, he currently lives in Ghaziabad. It was in 2000 when he decided to pursue cricket and moved to Lucknow to be trained in Guru Govind Singh cricket academy. Later, he became the captain of the Under-16 team of Uttar Pradesh. After 2011, there was no looking back for Suresh Raina. During a 2011 tour to West Indies, he even captained the team (during Dhoni’s and Gambhir’s absence). He also played exceptionally well during the 2012 tour to Sri Lanka and England’s tour to India in 2013. In the last few years, Raina has been active in tons of tournaments. His last international test match was played in January 2015 whereas his last ODI international match was played in October 2015. While Raina has been absent from the ODI and Test scene, he has always been an active player in the T20 circuit. In fact, experts consider Suresh Raina as one of the best T20 batsmen in India. He made a strong comeback by playing exceptionally well in 2017 against England. His last T20 match was played in March 2018 against Bangladesh. Since he is still in a great form, we are expected to see more of him in the coming days. The Suresh Raina profile would certainly be incomplete without listing his contribution to the Indian Premier League. He was bought by Chennai Super Kings in 2008 and played for them until 2015. During CSK’s ban, he was affiliated with Gujarat Lions. In 2018, he returned back to CSK as the team was formed again. Ever since 2008, he has been placed at number 3 position in the squad. He was bought by Chennai Super Kings in 2018 for 11 crore. Due to a calf injury, he missed a game in IPL 2018. Nevertheless, he gave an amazing performance in the whole season and played a crucial role in CSK’s big victory. Raina has been appreciated for his fielding skills as well and has been awarded the “best fielder” by BCCI on numerous occasions. With an impressive career of more than a decade, Suresh Raina has made tons of records with his performance. Here are some of Suresh Raina records and achievements that every fan should know. • Suresh Raina is the first one to score a total of 3000 runs in IPL. • He also holds the record of taking most catches in IPL. • He is also the first Indian cricketer to make 100 sixes in IPL. • He is the only player to score more than 400 runs in 7 consecutive seasons of IPL. • He is the only Indian cricketer to score a 100 in T20I, CLT20, and IPL. • He has played more than 150 matches for CSK in IPL. • Raina is the first Indian to score a T20I century. • He scored a test century in his debut match. • He is the first and the only Indian player to hit a century in ODI world cup as well as T20I. • He is the first player to hit more than 6000 runs in Twenty20 format. • He is the first batsman in the world to score a T20 century while playing at number 3. • He is the first Indian cricketer who holds the record of scoring a century in all the three formats of cricket. All of this certainly makes Suresh Raina one of the best batsmen of the present time in India.